Three months ago an idea was born. Today I’m ready to share it with you. We were headed to our Alma Mater for an alumni panel I was speaking on. ‘We’ being my long-time friend from university, Gaby and I. And it was cold and grey out. I remember because Gaby remarked on the weather as soon as she climbed in my car. Being from Venezuela she has never really made her peace with Canadian winters. And I was obliged to agree with her sentiments having just returned home from Thailand weeks before. We have been friends since first year of our undergraduate degree in International Development. It was a fast friendship, one of those talk-all-night, know-each-other-instantly type of situations. So when we reconnect, even after years of being apart, things flow easily. We make a good pair. She’s the adventurous one, constantly living out the things I daydream about. And I’m the down-to-earth one, constantly living out the things she hasn’t settled into yet. Although we may go about life in different ways, we share a lot of the same passions. And on that cold wintery drive together, we discovered yet another one. I love how life orchestrates just the right people and circumstances at just the right times. Sometimes it feels almost magical if you let yourself step back a bit and marvel. Gaby started talking about a desire she had to organize a weekend for women and my mouth dropped open as I exclaimed that that very idea had been bouncing around my head for the last year. Almost instantaneously you could feel the energy in the car expand. Having each lived through our fair share of the grisly bits of life, we had both found ourselves to a place of wellness and a desire to share that with others. Our visions were uncannily similar and our relief at finding just the right partner to make it feel ‘doable’ was electric. We yammered all the way to Guelph and then back again. By the end of the road trip we had made a commitment to one another to make our vision happen. Calling all wellness practitioners and presenters! ⇒ Do you have a passion for wellness and a desire to help others? ⇒ Are you ready to share your skills and ideas? ⇒ Do you want to be a part of a transformative weekend for women? Yes? Then we need to hear from you! 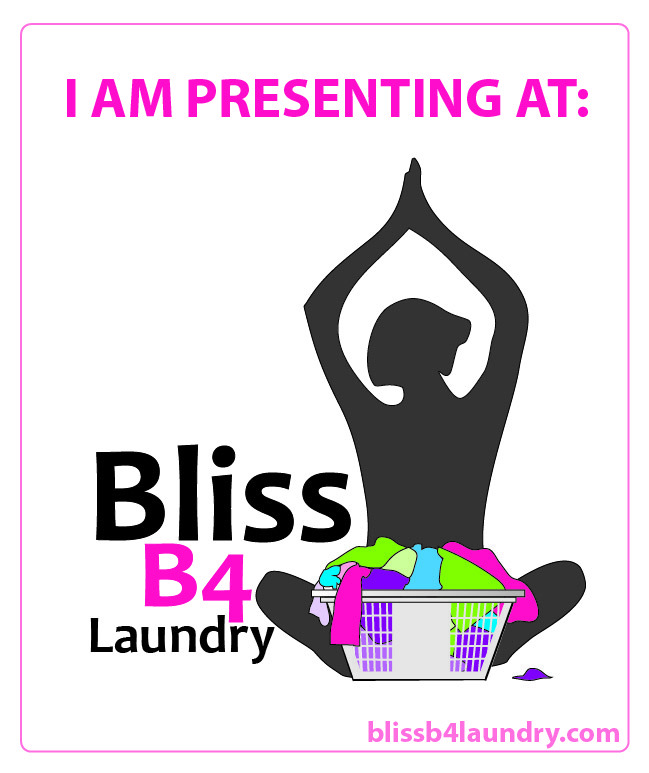 We are looking for practitioners and presenters to facilitate workshops, group activities and one-to-one sessions at Bliss B4 Laundry – a wellness weekend for women of all ages seeking balance, peace and transformation. Start by reading our Call to Presenters to understand all we are offering our presenters and facilitators. Then Submit Your Proposal before May 15, 2014. We will have decisions made about which practitioners will feature at our event by the end of May. Thanks for your submission! Do you know just the right spot to hang our poster? Help us find the very best practitioners by sharing this poster or hanging it in your community. Thanks for the help! Hi Sarah I hope you don’t mind but I sent this on to Stacey and Sarah. I know that Stacey knows people in yoga etc. and Sarah works for Social Services so maybe there is an opportunity there. Also Brigitte seemed really excited about going and wants to carpool with me. She also wants to do Reiki 111 but not right now…soon! I don’t know how she does all this with 3 kids!!!! So excited for your event!!!! Love Mom P.S. I forwarded info to some of my friends. I am walking with Colleen today so I will tell her about it. Love how you say that people come into our lives at certain moments for certain reasons. I wholeheartedly agree. This retreat sounds incredible. I wish I lived closer!! This is wonderful!!!! Congratulations Sarah!